I did every single workout I had planned! 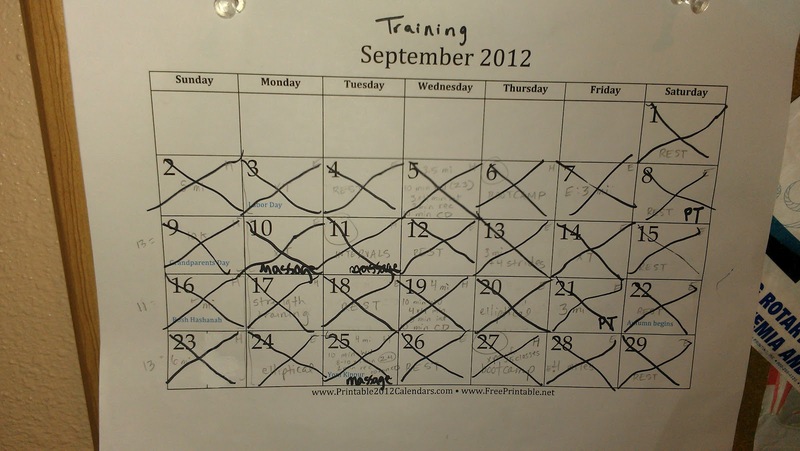 This picture shows my favorite way of making a training schedule. 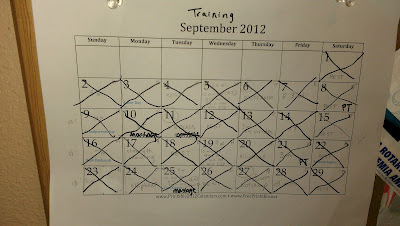 I start by printing out a blank calendar and then pulling up the training plan I am following, which currently is the Train Like a Mother 10K Finish It plan, then I adjust the days of the plan to fit my schedule and write everything in (in pencil, I tend to make a lot of changes). It is a wee bit complicated because I can't run two days in a row, I need two rest days and I generally have one day of elliptical and one day of cross-training every week. Right now I am only running three days a week, and am counting my elliptical day as a running day, it replaces what would be the lowest mileage day of running on the TLAM plan. You can see that I am doing massage and PT appointments on an every-other week basis. I have an amazing massage therapist whom I just adore and I typically do a 30 minute massage, focusing on my legs, one appointment, then a full body massage the next. If you need a recommendation for an amazing PT or massage therapist in Seattle, let me know and I would be happy to pass along their info. Even though my IT band issues aren't healing as quickly as I or my PT would like them to, this plan is keeping me 100% pain-free while I am working out. I still have occasional achiness in my knee, but only at rest, like when I am lying in bed or sitting at the computer. Next month I am incorporating Hal Higdon's Half-Marathon Novice One plan in to my TLAM plan in hopes that it will help me simply complete the Seattle Half Marathon at the end of November. I picked the HH plan because I wanted to do the absolute bare minimum required to get me to the start line of that race. TLAM's Half Marathon Finish It plan would have me doing three runs 10 miles or over and I just don't know that I am ready to tackle that yet. I won't lie to you, though, I honestly could care less if I run that race. I have zero plans to race it, the weather will be lousy, the hills will be brutal, and I paid next to nothing for my entry. What I DO care about right now is being able to get my mileage up a bit. It would give me a huge boost of confidence to get through November and hit 10 miles for my longest training run and then do a half marathon. If I can get through November pain-free then I am kinda sorta interested in trying my hand at more trail running and even potentially a trail race. The weather has been so interesting in Seattle. It is just gorgeous and perfect for running. No rain and mild temperatures are spoiling us! I have never minded the rain, however, so I am a little excited for it to return. I feel like I haven't seen rain in Seattle in months. Months! It's crazy! Well, onward and upward in to October! The most exciting that will happen in October is that I am going to have a birthday that will bump me up in to the next age group for races. Ha! Mix it all in a Blendtec (or another powerful blender) until smooth. It almost fills a plastic grande sized Starbucks cold cup. If it isn't sweet enough for you, add a bit of honey. I put it all in to a recipe calculator and was pleasantly surprised! Hold on to your hats, I meant it when I said random! 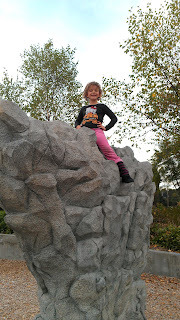 The past couple of weeks I have been doing the stay at home mom thing . . . with my kids in school full time. I won't lie, while I still do my fair share of toilet scrubbing, dish doing and laundry sorting, I also have a lot of free time. In my free time I do all kinds of things, like shopping, running, going to appointments, and drinking pumpkin spice lattes (ahem). You know what else I do when I am home so much? EAT. My goodness, there is nothing worse for weight control than just being at home and not having anything specific planned to keep me busy. I just eat. And shop for food. And eat some more. You know what else I have been indulging in during my time at home? Dawson's Creek. Yes, really. I just finished the entire series. Having an iPad makes it handy to literally carry my show around with me while I do my chores and eat my lunch and, well, do just about everything. I didn't remember much about the series before I started re-watching it, though I did remember how it ended. Turns out a lot of the show was kind of terrible, but holy cow was I boo-hooing over the series finale! Geez, crazy sad. The fun at home won't last forever, though, and I am starting to add some more responsibility to my schedule. This week I started volunteering at the girls' school. One morning a week I volunteer in Iris's classroom and one afternoon a week I volunteer in Eloise's classroom. My new very part-time job will start next Friday, as well. One of my very favorite things about this school year so far is the school bus. I know, weird, right? My girls have never ridden a school bus before and I made the decision to let them ride it with great hesitation. They don't need to ride it, I can easily get them to school on foot or by car, but they begged and I relented. Turns out, it is so awesome and easy. And the girls love it. 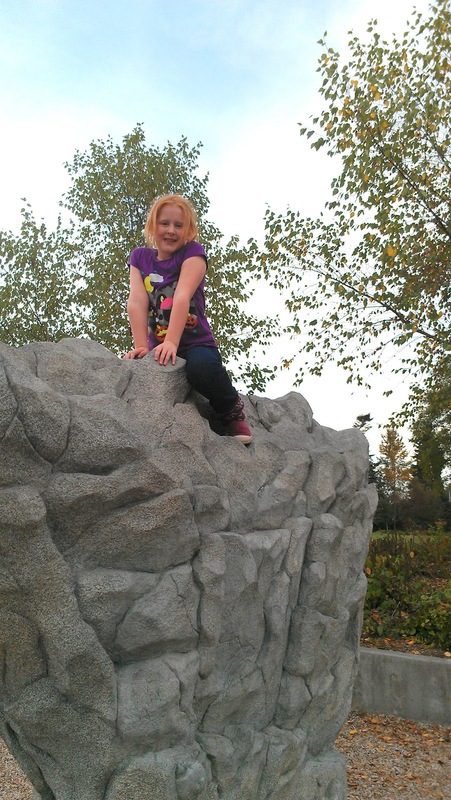 Iris has recently started Girls on the Run and she really is enjoying it. It is all very girl power, rah rah rah, which is great for her. Especially being at a new school, I think it will help her feel even more settled. So far Iris seems to like school, so I am super grateful for that. Almost four full weeks of school and she hasn't insisted that she hates it even once. Success! 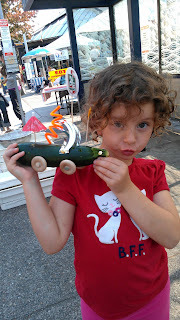 Two weekends ago we went to the farmer's market because they were holding their annual zucchini car races. Last year we built great cars, this year, well, the cars kind of sucked. 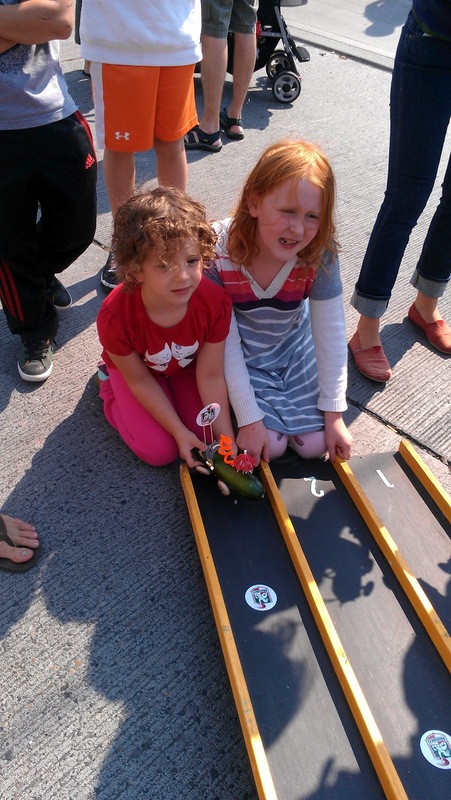 Iris got really mad because her car would barely even make it to the bottom of the ramp, let alone win. Ah, well. zucchini cars are fickle beings! Last weekend two wonderful things happened: Eloise learned to ride her bike without training wheels and Iris got a new big girl bike. 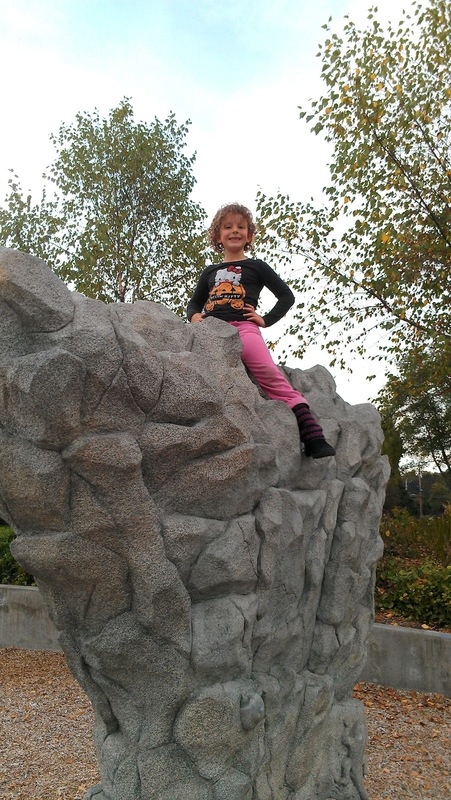 I was sort of surprised that it took Eloise so long to learn, because she tends to be more physically advanced in things like climbing, swimming, etc. 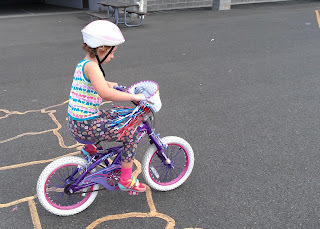 But she did NOT want to ride her bike without training wheels. 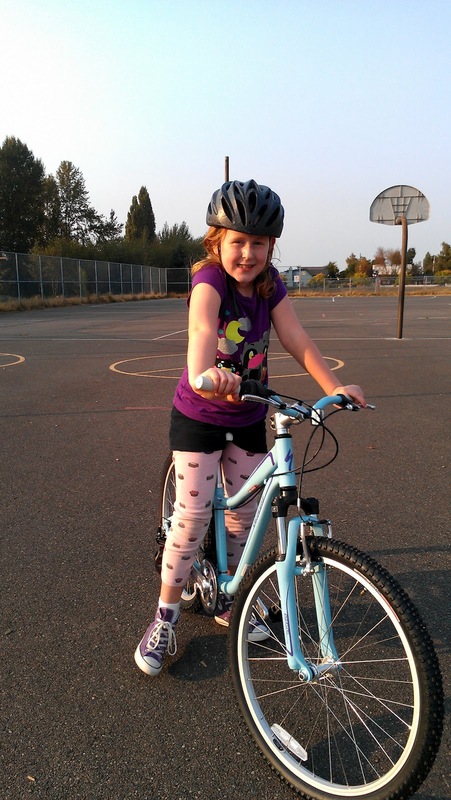 A couple of weeks ago we had her bike fixed up at a local bike shop, added some streamers and a basket and she was excited about her bike again and after some practice, finally figured it out. Then she crashed and scraped her knee and that sucked, but didn't deter her spirit. I spent all afternoon last Sunday bike shopping for Iris. Bike shopping for kids is not fun at all. Your choices are crappy relatively-decent priced department store bikes or super expensive bike shop bikes. Well, you also have the choice of a used nicer bike, if/when you can get your hands on one. But long story short, we needed a bike that day, and couldn't find anything used. Matt and I don't own bikes and bristled at the idea of spending an insane amount of money on a bike for a kid that would tool around the neighborhood once in a while. In the end, though, that was the choice we made. We knew it would last longer, be able to passed down to Eloise and then, hopefully, be able to be re-sold. It made the overall cost much easier to swallow and I felt better about it than a bike from Target. Eloise already needs a bigger bike, but I am going to take my time to find her a good used bike. Mama's broke! Riding bikes has become so much fun, the girls and I have taken two after-school bike rides (well, they ride, I walk the dog) to a local park. The girls enjoyed conquering a small rock climbing wall when we got there. So that's what's going on here. What's up in your neck of the woods? Any other good shows on Netflix to move on to? Another decent week of running. Whew! I was supposed to do an intervals workout that consisted of 4x4 minute intervals with 3 minutes of recovery between each interval. My stomach was not interested, so I ended up doing one 4 minute interval, then the rest were more like 2 minutes. This was just about one of the hardest elliptical workouts ever. I also had PT on Friday, which had some good and bad news. The bad news is that my PT isn't yet worried about my IT band, but did expect it to be better by now, especially since I am "100% compliant" with everything she has been asking me to do. The good news, I suppose, is that she was looking at some other issues with my muscles and bone structure in my left leg and found some other things off that we are working on. One of my favorite running buddies and I ran on the Discovery Park trail. There is one loop of 2.8 miles and we did two. I was convinced that we did the loops faster than we ever have, but then again we usually do more than two loops. It was a great run. I wished we could have done one more, but I am trying to respect my injury. In no particular order, here are pictures of a few other things we did while on our summer vacation. We got to see these ladies belly dance and they taught a group of kids (and adults who felt like joining in) how to dance. We went to a fun puppet show that was centered around pirates. Arrrr! We got to hang out with these guys, who we just love. They are even cuter when they are being silly! We got to take a trip on my dad's boat. We got to take a ride in my cousin's daughter's awesome go kart. Even I got a ride! It was really, really fun. And Eloise helped my uncle hang up a swing in my cousin's yard. Such a good helper! And that, my friends, is the end of my summer vacation series. Hope you enjoyed it! It was a good week. I am happy with how things are going with my runs and my rest days and my cross-training days. Zero pain this whole week, though I could feel my knee a little bit at the end of a couple of my runs. I have been doing my glute exercises most days and have been trying to start doing core exercises for runners. Emphasis on the "trying". 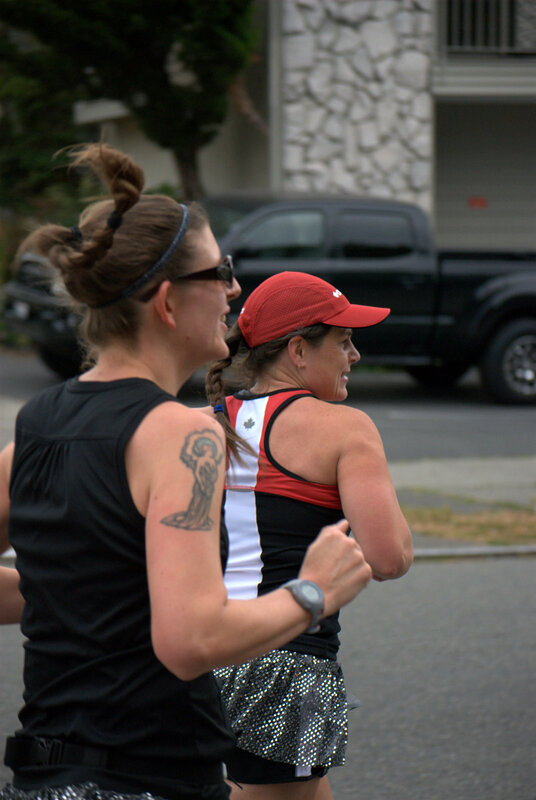 This week I also looked up Hal Higdon's Half Marathon Novice training plan and I do think I will be able to follow that for the Seattle Half Marathon in November. I can mix it with my Another Mother Runner 10K Finish It plan and do the 10K in October on my way to the half. Hal's plan only takes the long run up to 10 miles, which I guess will just barely have me trained for the half. I was planning on taking the race easy and will be running with a friend the whole time, not racing it, so I am crossing my fingers. Will run the idea past my physical therapist this week. And this isn't really a running thing, but it was interesting to me so I mention it. I was really nervous about putting weight back on with my reduced running schedule (and my increased eating lately!) but I hopped on the scale today and it was a teeny bit lower than I was last time I checked, so PHEW! I am glad the mileage I am running seems to be good enough to keep my weight in check. I seriously love going to the gym and watching the tvs! Notice I didn't say "tv". There are six to choose from, perfect for my tv ADD. I did half hour of hard and half hour of easy. This was my intervals day and I felt strong, even more so than the last time I did intervals on my own. The workout was a 10 min warm-up then 6x2 min intervals with a 2 min break between each and a 10 min cool-down. 3 miles with about 6 strides at the end. Felt good. 35 mins of elliptical, nothing fancy. Since I have so much free time for my workouts during the week right now I am doing rest days on Saturday. Of course, my rest day was spent dis-mantling my daughters' bunk bed, carrying it up a flight of stairs and putting it back together again! I guess that is an "active rest" day then? I felt so good on this run. I managed a 9:00 min/mile pace the whole time, which in all honesty is a little fast for me for a long run. Also, hahahaha that I consider 5 miles long, but I take what I can get these days! 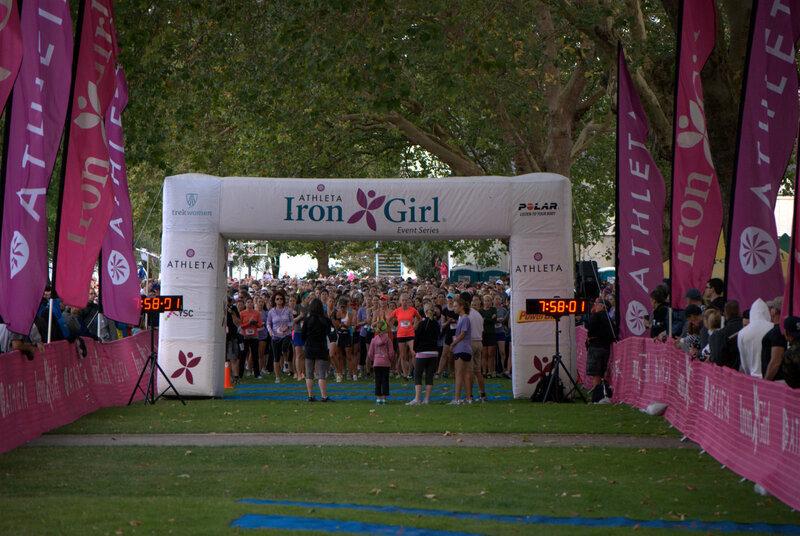 Last Spring my friend Tara asked me if I would be interested in running the Athleta Iron Girl 10K with, as it fell on her birthday and she really wanted to do a race on her birthday. Of course I said yes! We had such a blast running the St. Paddy's Day Run Tacoma 10K together that I knew I couldn't pass up the opportunity to do it again. We decided on a sort-of matchy outfit at the last minute, we both bought gunmetal Team Sparkle skirts and then Tara bought some socks to match a pair I already owned. 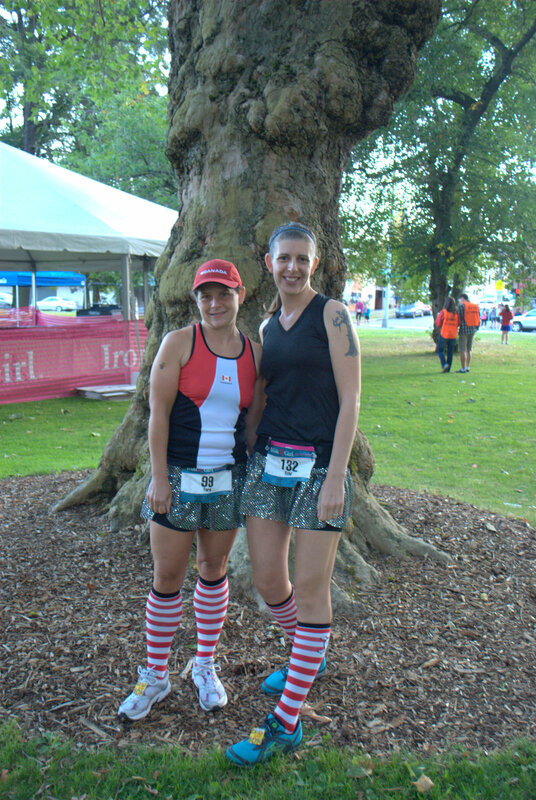 We were going for a sort of girly pirate-ish type theme (our socks had skulls and cross-bones on the back). I met Tara and her family-- her kids, husband and mom-- early the morning of the race at the packet pick-up. Neither of us had been able to pick up packets early and we were nervous it was going to be a zoo doing it on race day. Turned out it was easy peasy. We had time to get photos taken, walk around a little and then wait in the loooong porta-potty line. One would think that at an all-women race there would be an abundance of porta-pottys. Nope. We lined up and waited a bit. And then we heard the announcer say "Happy Birthday!" to Tara and I screamed and hollered for her. Cause I am an annoying friend that way. Can you see us? Probably not. We were about 100 women deep in to the crowd. Taking off at the start. Sort of. Check out Tara's awesome form! I thought I was getting better,but it looks I am still straight up and down. I mostly enjoyed the course, though it started out really crowded. I am not sure if it was because it was so crowded, or because people weren't lined up in the appropriate spot at the start line, but we were running pretty slowly for the first mile or so. We lined up in the 9:00-10:00 min/mile area and were passing a lot of people trying to even maintain a 10:30 min/mile. During the first mile is when my pretty socks slid down to my ankles. I tried to pull them up once but it was a losing battle. This picture cracks me up. My braid ponytail kept whacking me and it kind of hurt! Once we got past that first mile the runners spread out a little and we were able to run the pace we wanted for the most part. 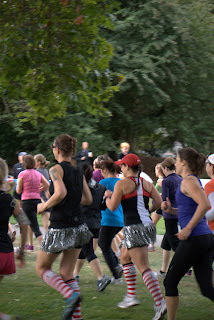 We still did some dodging, of other runners AND of pedestrians on the Greenlake walking path, but it was totally fine. Tara and I talked the whole time, catching up and enjoying the grown-up time, and had fun thanking people for complimenting our fantastic skirts. The course made two loops of Greenlake, so we got to see Tara's family at the start, at the end of the first loop and at the finish. They were awesome cheering for us and taking pictures. In fact, Tara's husband, Dan, took all of the photos on this post. Nothing better than having a crew out there for your race! While we ran pretty hard the whole way, our primary goal was to have fun. 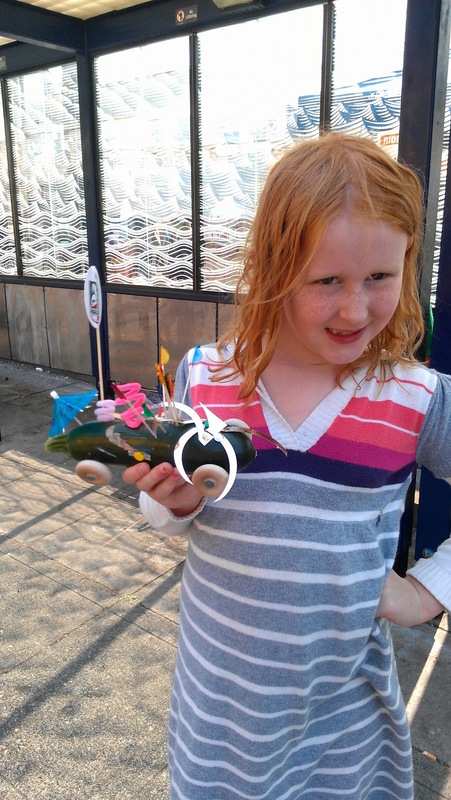 Doesn't matter how "for fun" the race is, though, you have to sprint in to the finish! I was probably the only one in the race wearing sunglasses. sun would definitely have come out! 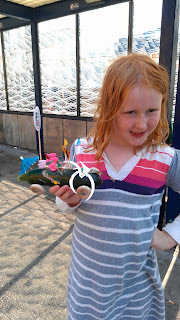 We had a great weather for the race. Also, my hand looks giant in this photo. nor is it drastically obvious I am holding my sunglasses in my hand. Hooray! I was really surprised to see the pace chart from my Garmin at the end of the day. Our overall pace just kept decreasing until the end. Hello negative split! Of course, our second lap was much more sparse than our first, so we kind of ran the negative split without trying. In hindsight I am only a wee bit bummed that we finished in 56:49. I know that we could have gotten a sub-55:00 for Tara if we had not been stuck in a crowd in the beginning and had been watching our time a little better. Darn it. Next race! That said, I am glad a time goal didn't come before our goal of enjoying ourselves. Tara just informed me that she has, indeed, already run a sub 55:00 so we didn't blow our chance, after all. Whew! No longer a wee bit bummed. 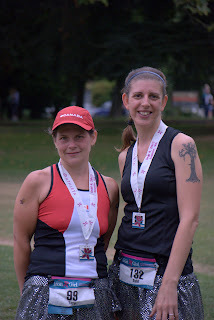 Overall I really enjoyed this race and would definitely run it again, especially with a friend! I felt like the race was very well organized-- the packet pick up was flawless, the expo was okay, the course was well-marked and beautiful, our bibs had our names pre-printed on them, the finishing chute was nice and they had enough people taking timing chips off of shoes as well as someone handing out bottled water right away. The medals for all finishers were a great touch, and the medal was very nice, too! My two complaints were that they needed more porta-potties and the food at the end of the race gets a huge thumbs down. They gave the runners pre-boxed food, and in the box was things like crackers, trail mix, granola bar and a packet of hummus. BLECH. When I finish a race I want bananas, chocolate milk, oatmeal, bagels, PB&J, rolls, oranges, things like that. Not hard, dried food. Luckily Tara's husband had a stash of homemade scones in his bag. YES! That definitely hit the spot. Happy post-race. Tara is rockin' her Canada gear, being a pround Canadian and all! Such a fun morning, I was bummed to say good-bye at the end. After the race Tara and her family had to head out for a day of sight-seeing and I had to head home to, well, spend most of the day laying on the couch. Kind of my favorite post-race activity! I think it's almost time to get our next race on the calendar . . . maybe up in Victoria next time? 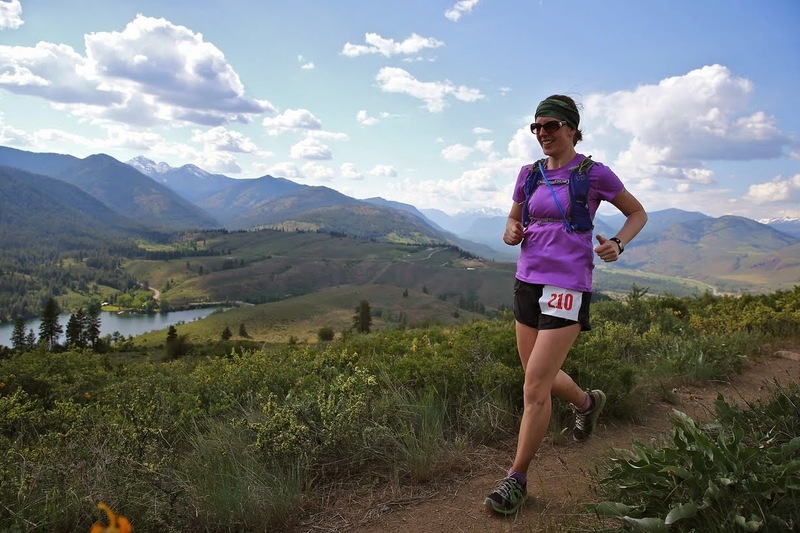 I was reading the Another Mother Runner blog last night and found that Sarah and Dimity had put up a "10 Running Related Personal Questions" post and asked other mama bloggers to follow suit. Don't mind if I do! 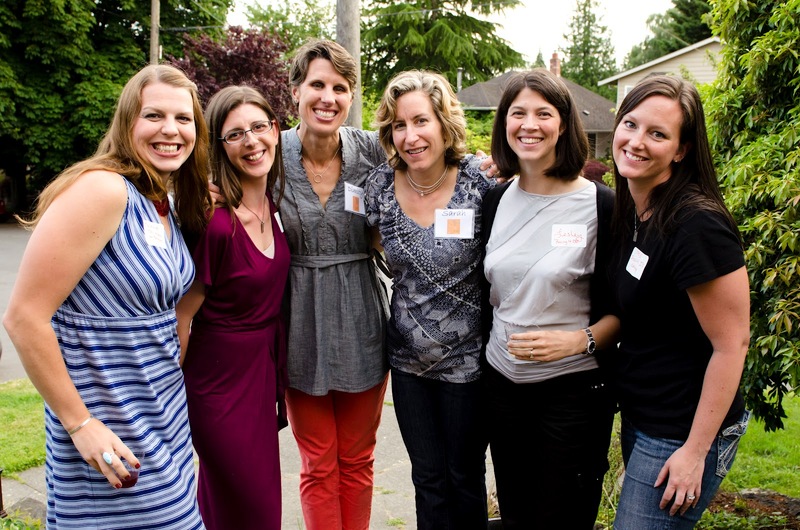 This would be a fun time to share this awesome photo of all the tall gals at the Another Mother Runner house party in June. I am in purple, between Tall Mom on the Run and Dimity. 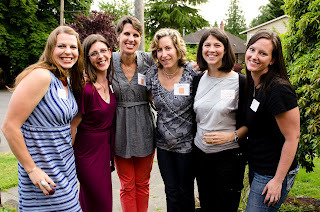 Photo by Kristy Harrison of Full Heart Photography. For me this would be my first ever half marathon, the Heroes Half, which I ran at the end of April. Everything about my training leading up to that half was perfect. 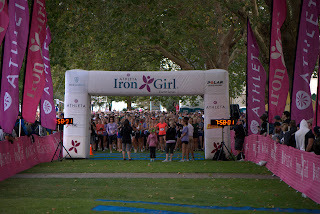 I was strong and prepared and ready to run that day and felt amazing the entire time. I even blew my "A" goal out of the water. and my badass mother runner moment all in one! Necessary, fun, and (right now) frustrating. 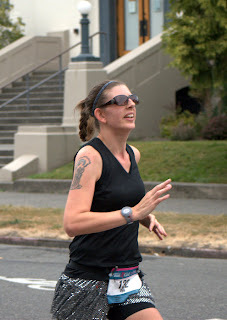 Q3: My Go-To Running Outfit Is . . . Lately it is Nike Tempo shorts and a Nike tech tee. If the run is long enough (say, 7 or more miles) I will wear my Run Love compression socks (in black), but it's been a while since I was able to run that long. My new favorite shoes are my Brooks Pure Cadence, but before those it was my Brooks Adrenalines. On my head lately I am typically wearing a RazzyRoo headband, but for a very, very long time I wore either a navy Detroit Tigers baseball cap or a pink Seattle Supersonics baseball cap. I am always catching my feet on the ground, like I am about to trip (every once in a while I do trip and have to stop myself from splatting all over the pavement). I guess one of the many things I have to work on is picking my feet up! I run at all times of day and have zero preference. On the weekend I often meet my running besties in the morning, but left to my own devices I don't get out of bed early to run. Now that my kids are in school mid-day runs are my favorite. I run in the evening when I go to my intervals class, but I don't run alone at night. Q6: I Won't Run Outside When It's . . . Hot. To me, over 70* is too hot for a run! My worst injury is what I am battling now, my IT band. I am not over it, but I am getting through it by doing A LOT of different things. I have changed my running form, gotten new shoes, and I am doing glute exercises and stretches, icing, rolling, taping and changing my running routine. My PT says I am making good progress. I am not so sure. Q8: I Felt Most Like a Badass Mother Runner When . . . This is a toss-up: I was a total badass when I blew my goal out of the water at my first half marathon and then crossed the finish line holding hands with my five year old. I was maybe even more of a badass pacing a male friend who is 7 years my junior to a 1:55 half marathon at the Seattle Rock-n-Roll. Q9: Next Race Is . . . I think it's going to be the Snohomish River Run 10K, though it's going to be painful (figuratively speaking, hopefully not literally) racing a 10K and watching all the half marathoners continue on. No question, it is to do the marathon I can't do this October. You hear that 26.2? I am coming for you! Have you answered the Another Mother Runner 10 questions? Let me know!